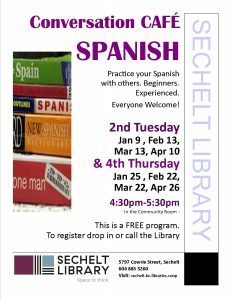 Practice your Spanish with others. Beginners. Experienced. Everyone welcome! Every second Tuesday September to November – 4:30-5:30pm.